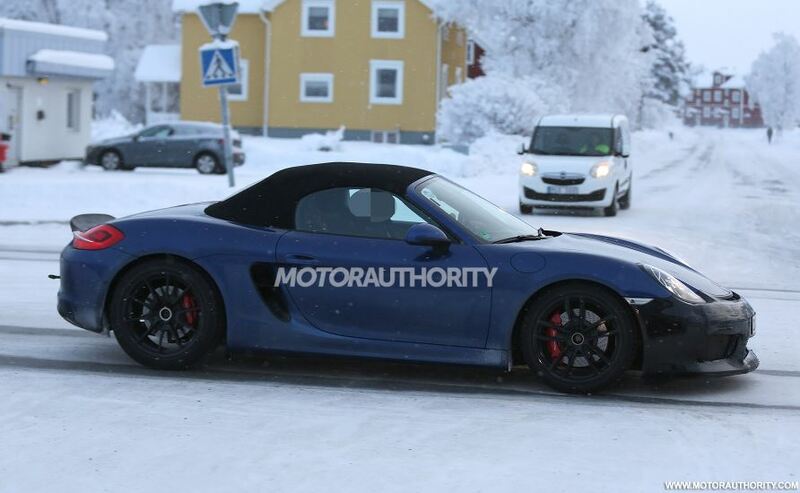 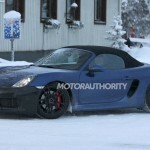 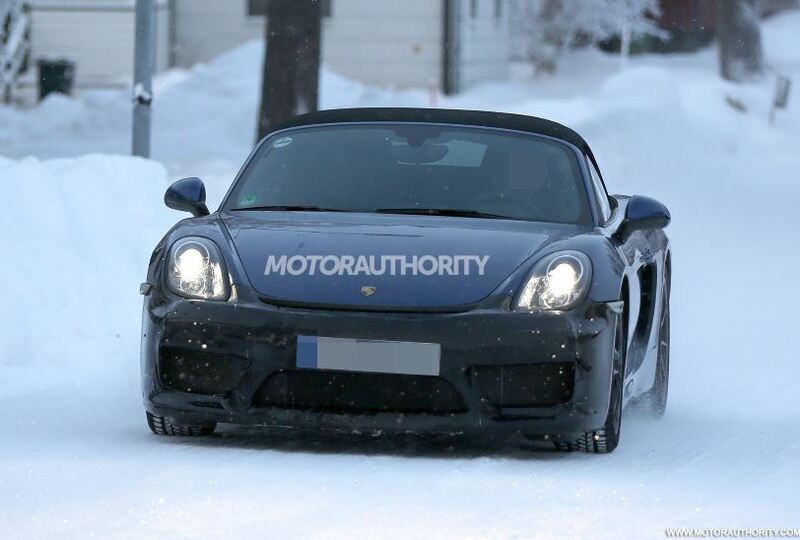 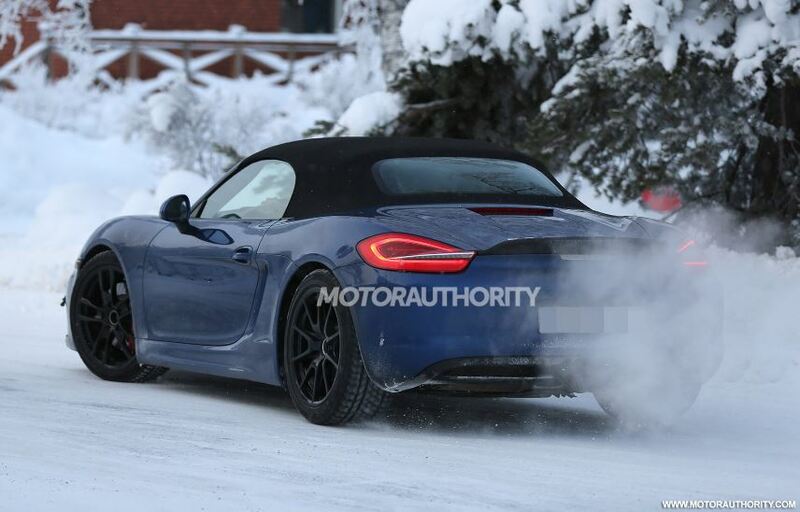 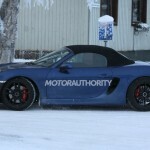 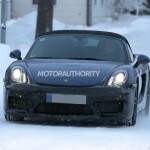 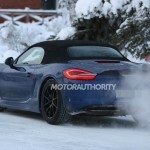 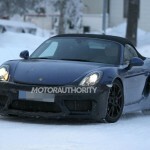 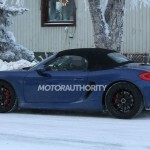 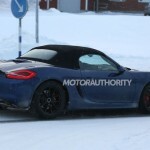 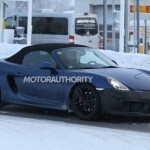 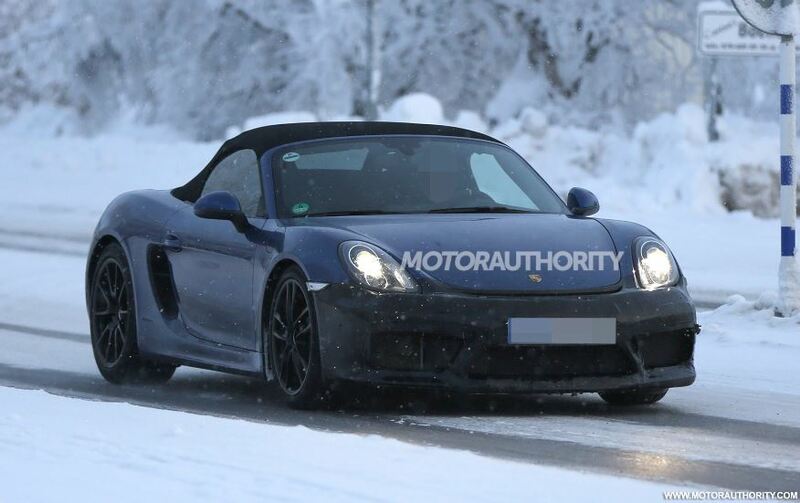 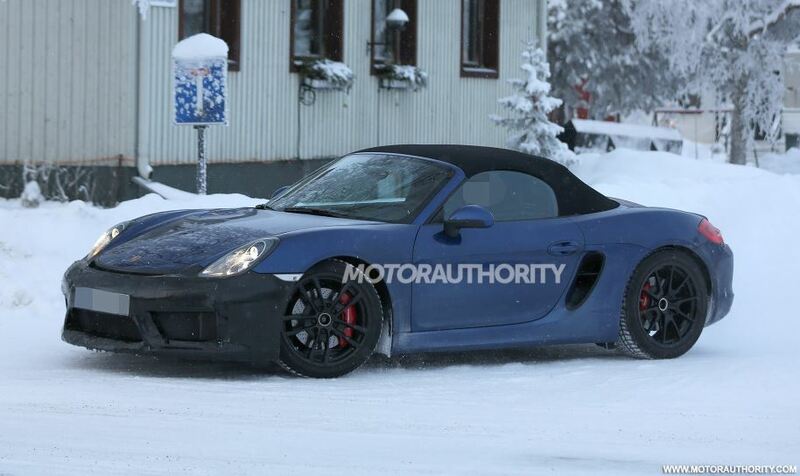 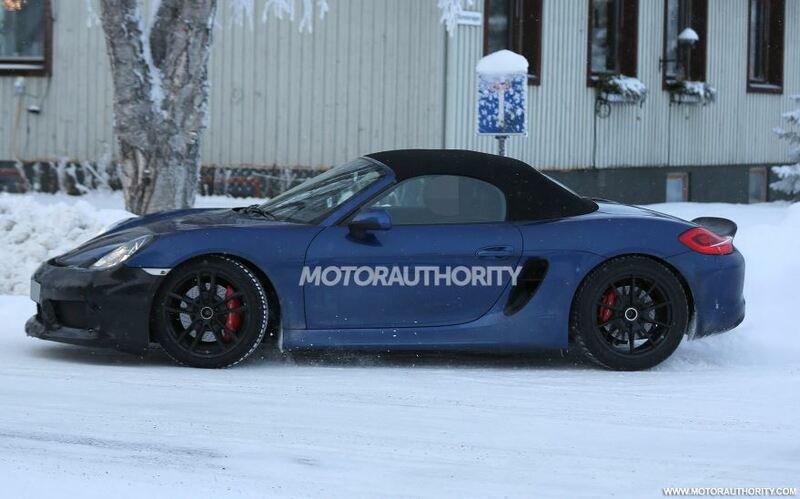 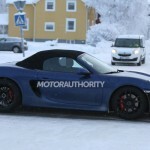 The so called Boxster RS Spyder was recently caught on shots by spy photographers, who have captured the one-off sports car undergoing some tests under some heavy weather conditions, before being launched at the beginning of 2016. 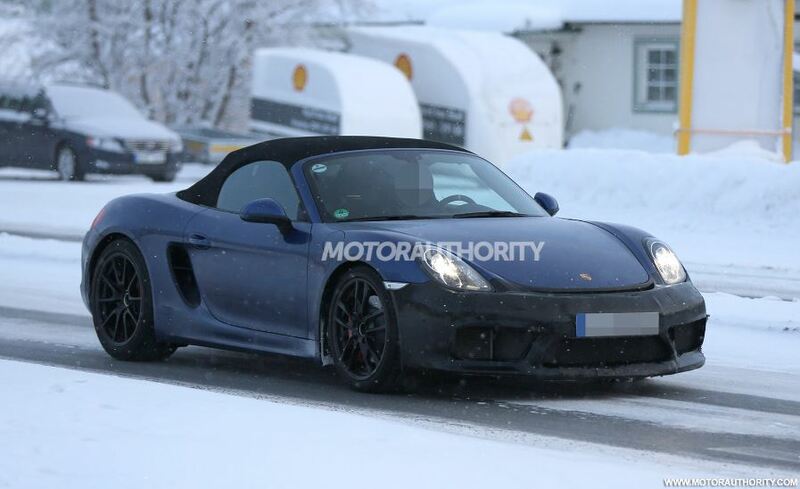 We are talking thus about the 2016 model of the Porsche Boxster RS Spyder, which can be seen here wearing a lot of camouflage around the front. 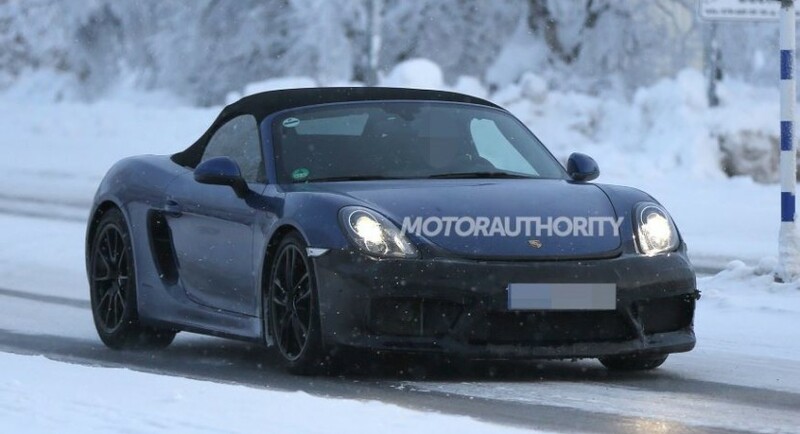 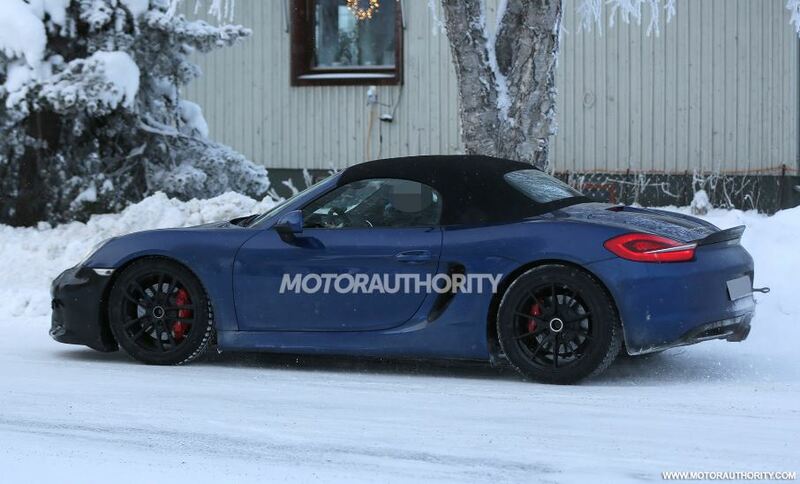 It means that it will come with some major influences also seen on its older sibling, the Porsche Cayman GT4, like a more aggressive front bumper, large wing spoiler at the rear, or the second intake at the leading edge. 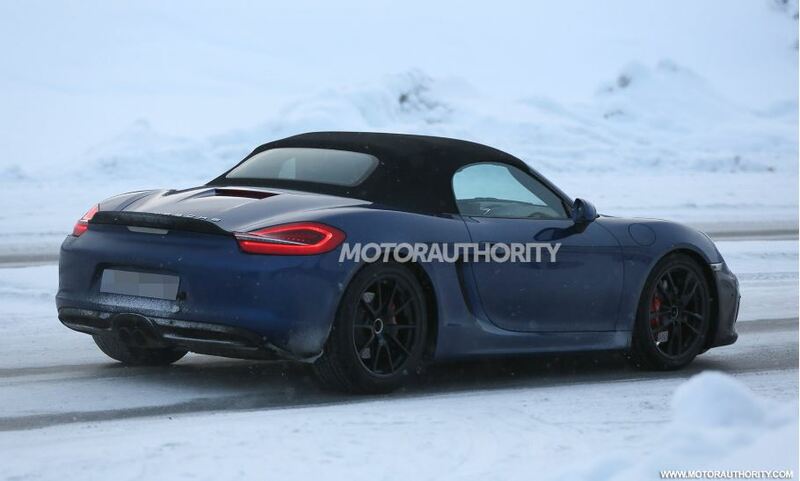 In terms of performance, the 2016 Porsche Boxster RS Spyder will come with a lot of upgrades, like the high-performance suspension system, upgraded tires, brakes or wheels. 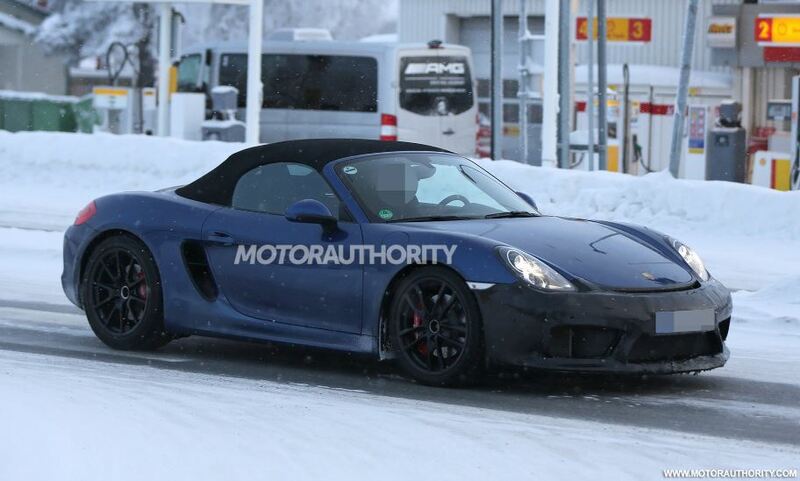 To increase performance, the 2016 Boxster RS Spyder has also lost some weight, due to the carbon fiber components now wrapping the cabin. 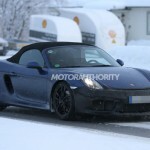 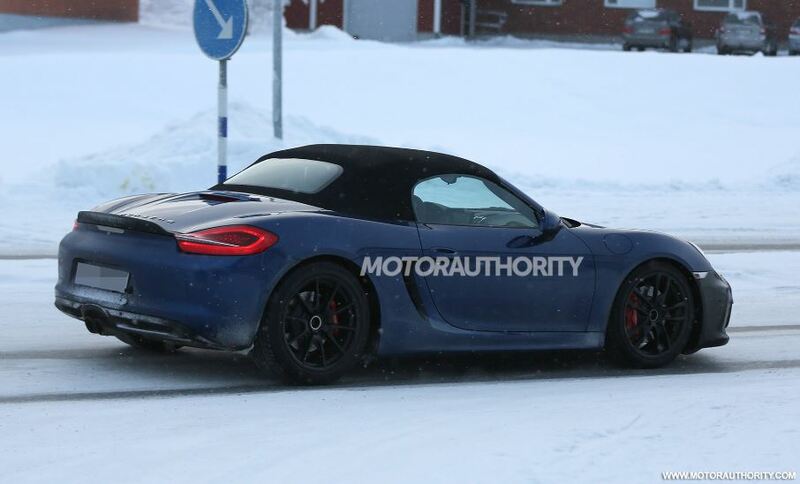 All these modifications have made the sports car ready to receive the 3.4-liter flat-six unit, also seen on the Boxster GT, which outputs a good 380 horsepower. 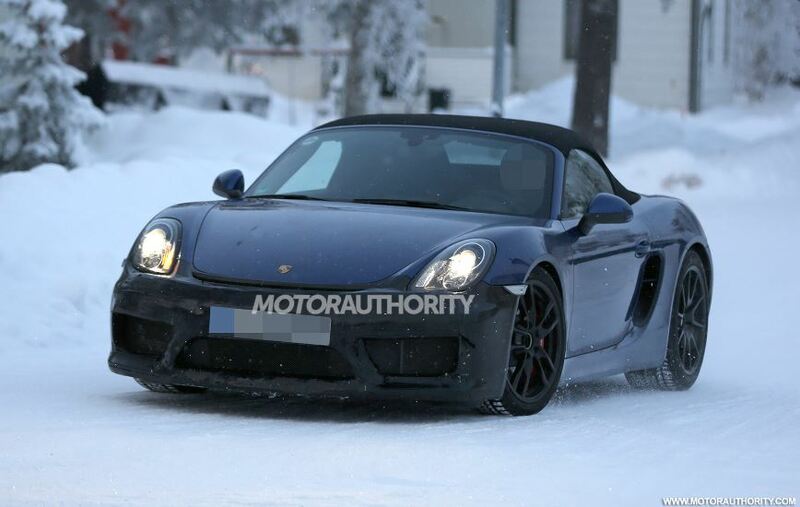 The unit is hooked to the seven-speed PDK dual-clutch transmission. 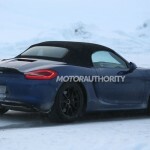 In terms of prices, the 2016 Porsche Boxster RS Spyder is expected to come at around $100,000, once it will be launched on the market, next year.